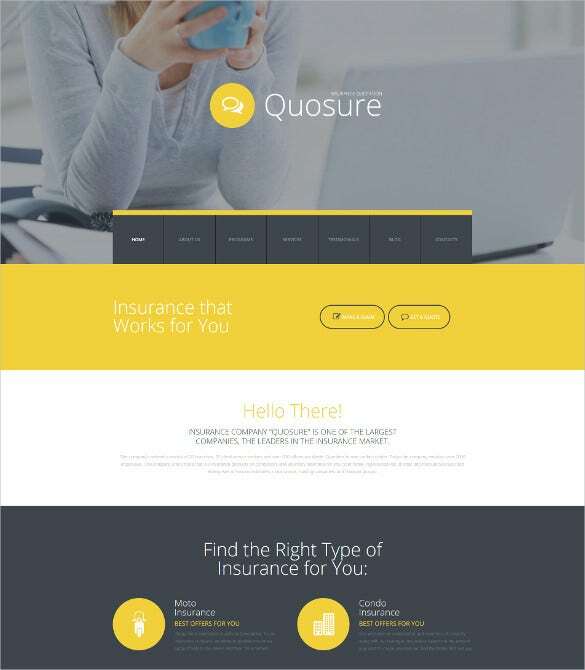 A concrete online presence is vital for the growth of today’s insurance sector and these website templates will assist you in consolidating your internet presence and increasing your reputation. 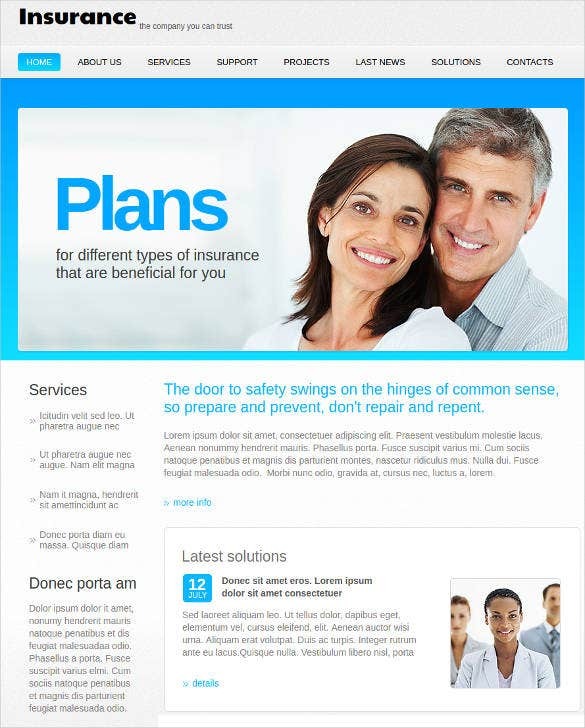 The templates come in a professional outlook, with high-quality images.You may also check Medical Website Themes. 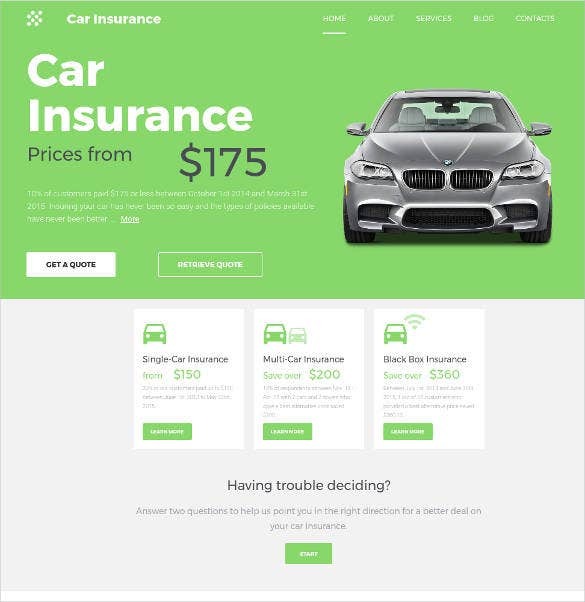 This is a practical and smart website template for an insurance agency that comes with a huge banner for advertisement followed by space for your special features. 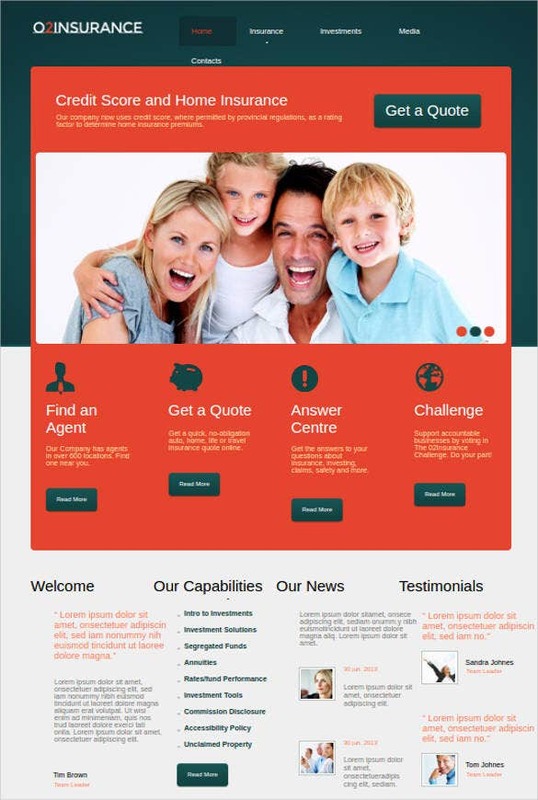 You can also include a quote form here. 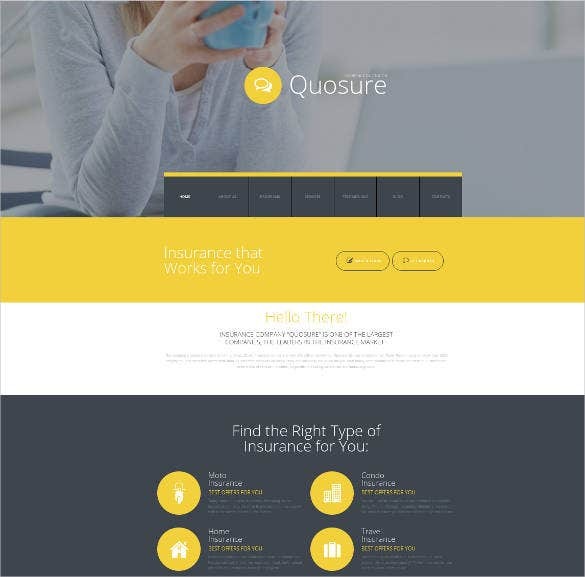 There are five homepage variations, five preset styles, two header layouts as well as three slider variations to choose from. 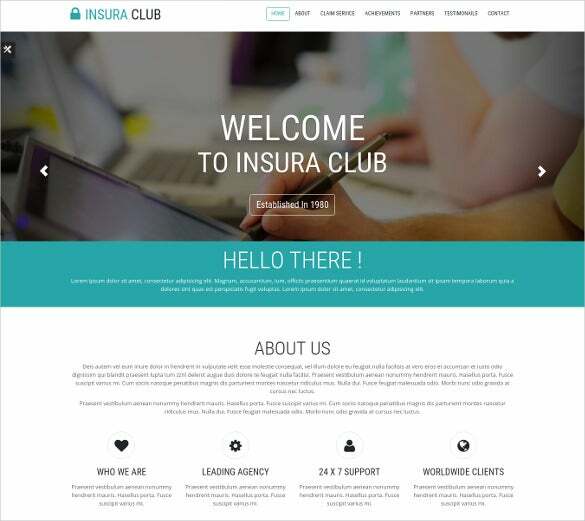 This elegant theme for insurance sites opens up with a picture gallery followed by a sneak peek on the different insurance services on offer from the company. 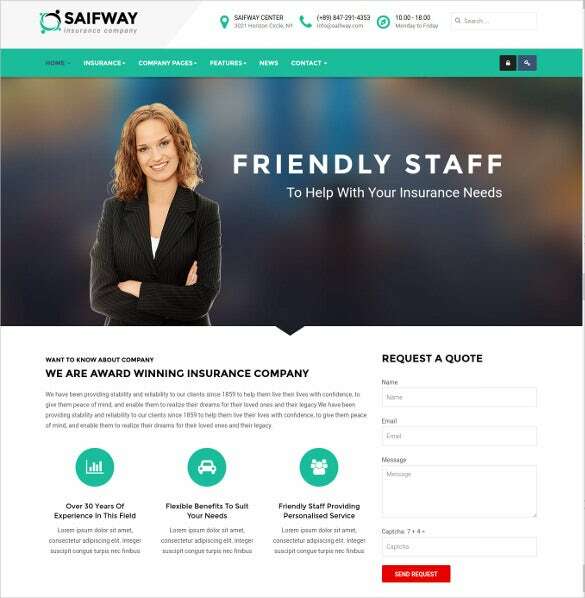 The space below is for customer testimonials. 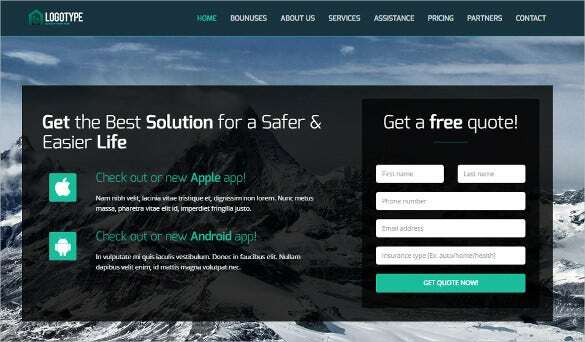 Built on Bootstrap &AS Frameworks, this theme comes with more than 50 Google Fonts. 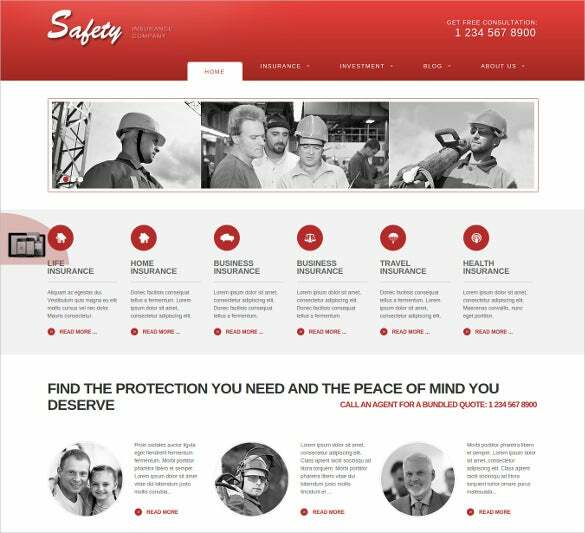 Ten standard Web Safe fonts, responsive menu & Google map plugin. 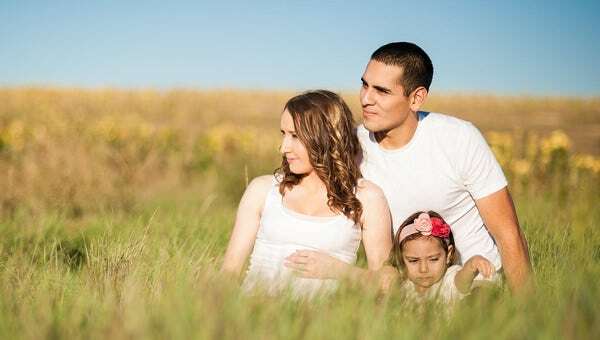 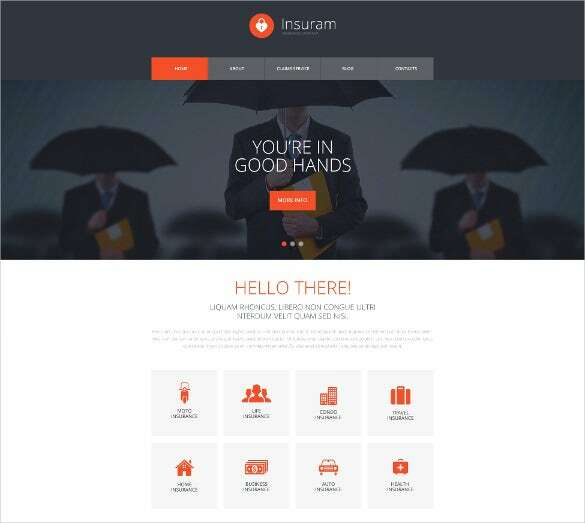 This website theme appears on a unique note where you have the different types of insurance services by the company in small templates against a stunning background. 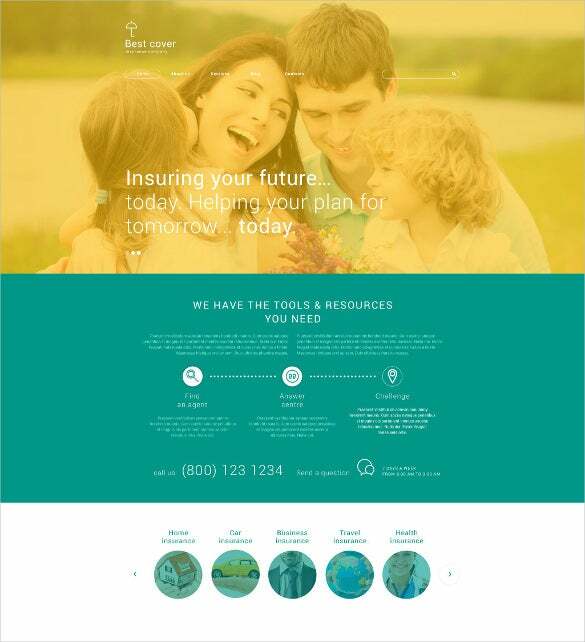 The menu bar is at the top. 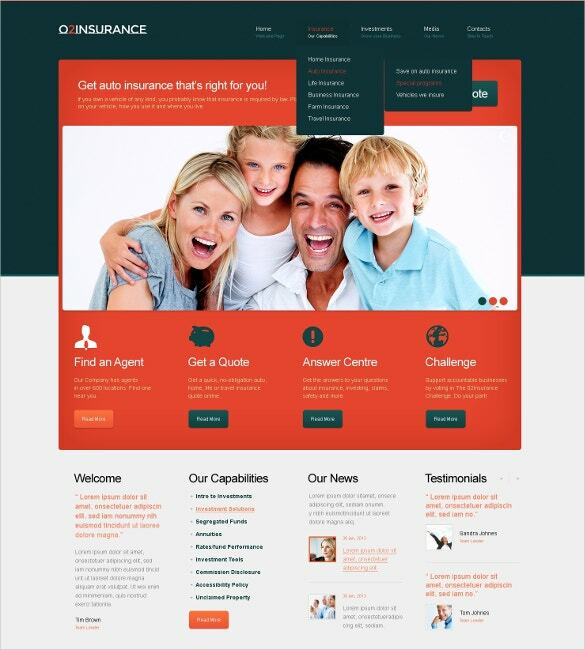 The responsive theme is multilingual ready, fully editable and would be great for your insurance portal. 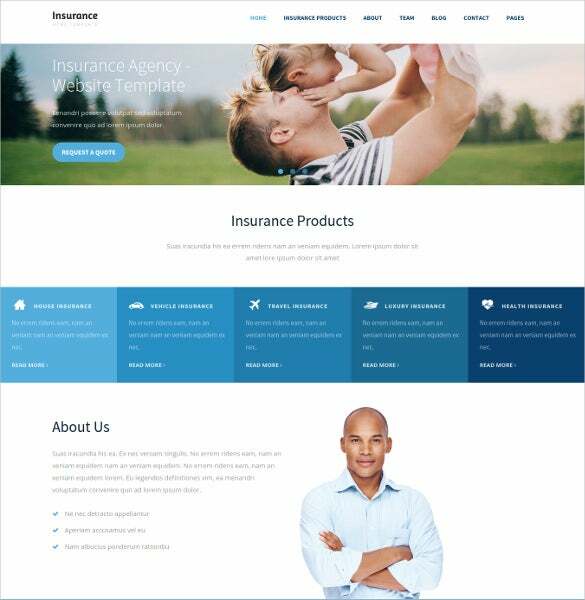 The classy insurance agency website theme here starts with a huge Flex Slider banner for grand advertisement and below you have a brief on the different insurance products from your company. 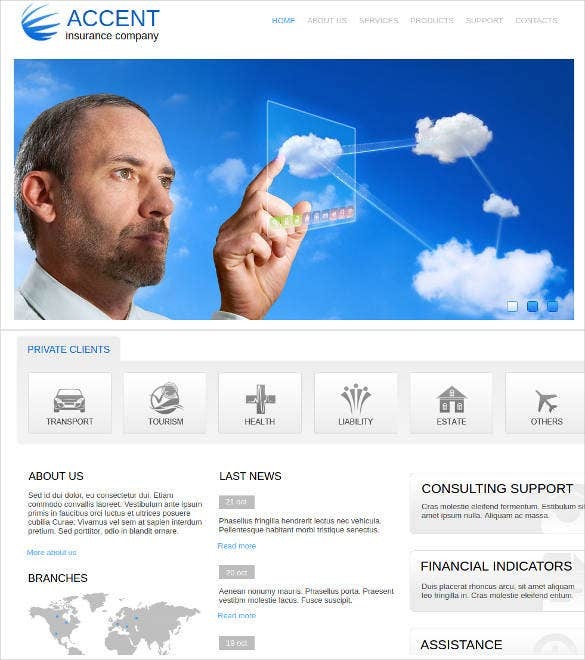 You can also include “about us” here. 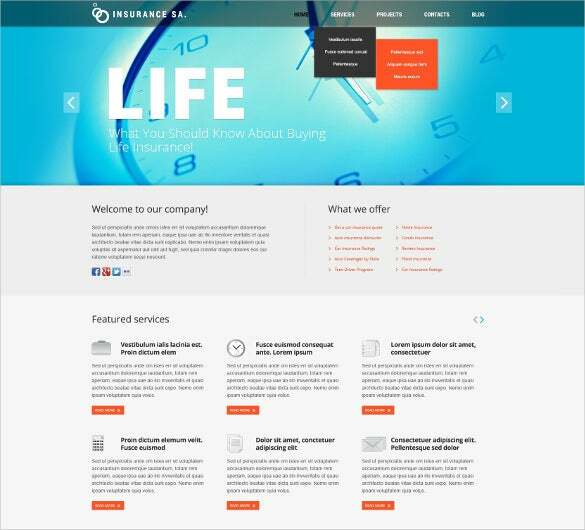 Built on Bootstrap 3 framework, this theme assures 100 percent responsive facility. 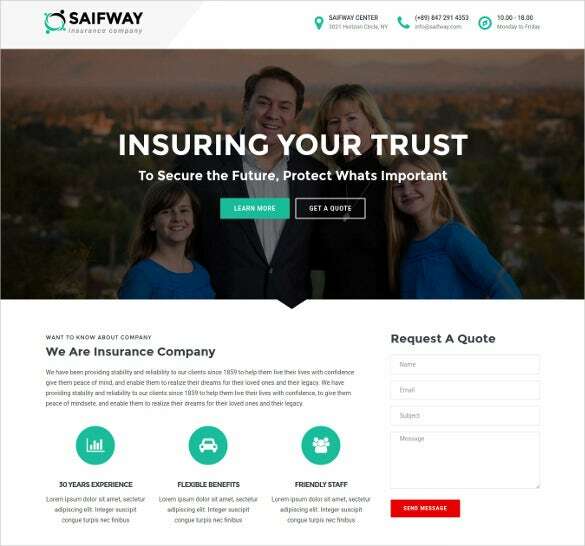 The theme comes alive with a smiling family picture that signifies the importance of insurance protection from your company. 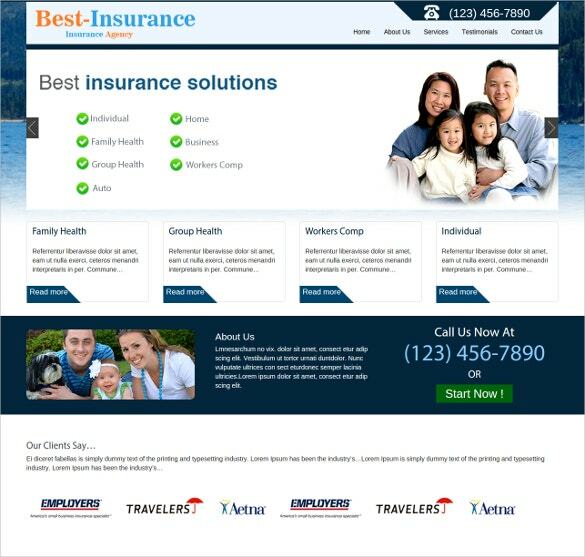 You can include your picture slide here followed by your insurance services. 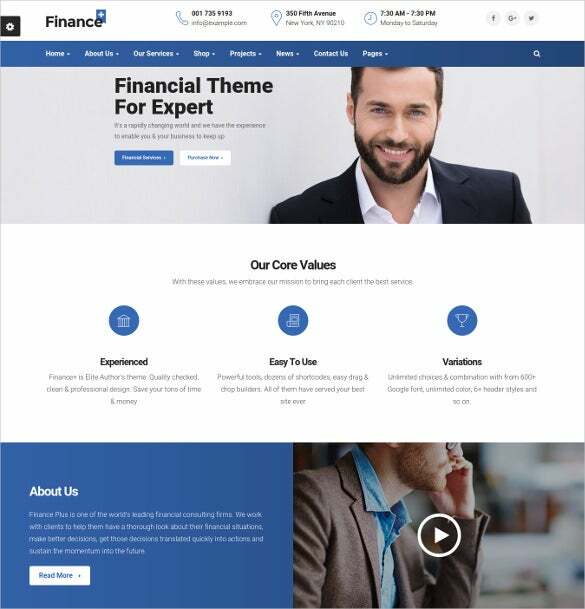 It’s a fully responsive, easily editable theme which promises 7-15 high resolution stock photos, more than 80 shortcodes and unlimited color options. 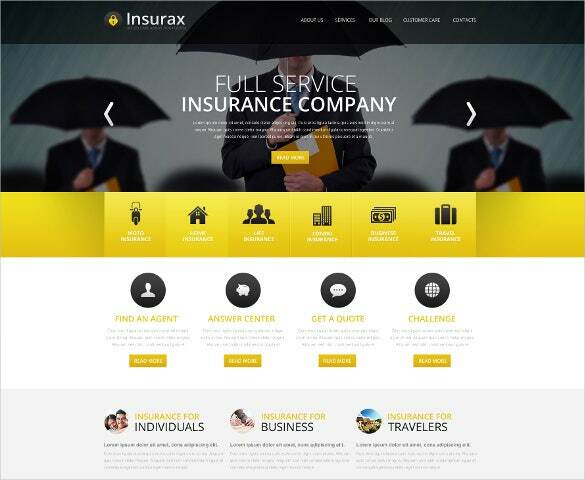 You are getting a smart and professional insurance business website theme here which comes with a big banner and menu bar on top. 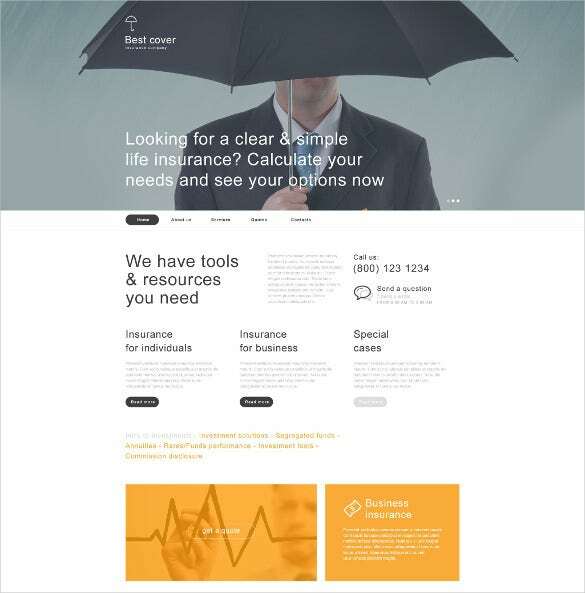 The space below can be used to discuss special features of your company, a few lines about your office & contact details. 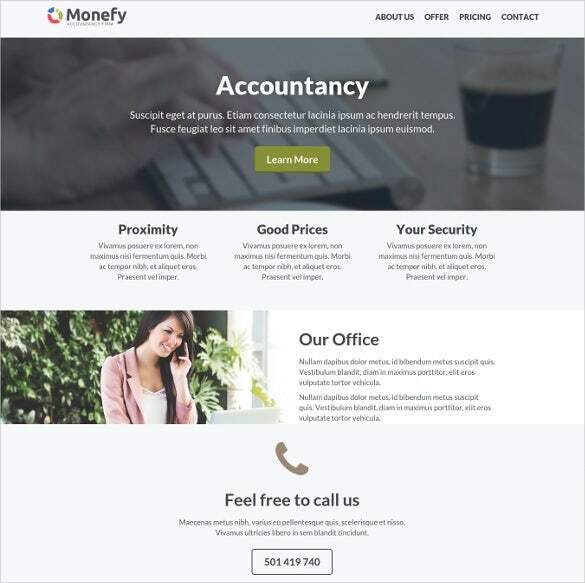 The theme would also be suitable for accountancy, bookkeeping, business assistance, finance & loans company websites. 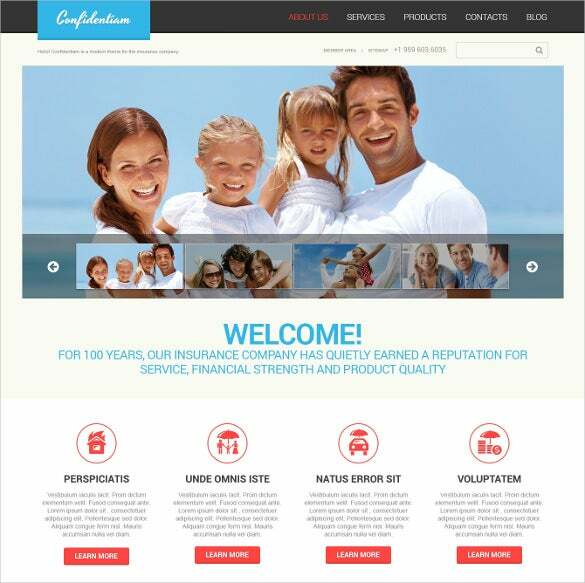 Unlike other online stores, these templates provide an interactive atmosphere for customers to share their concerns. 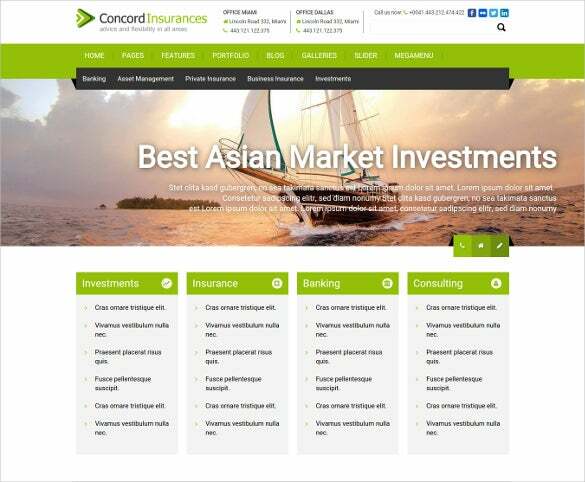 Contents are well arranged and highlight important information. 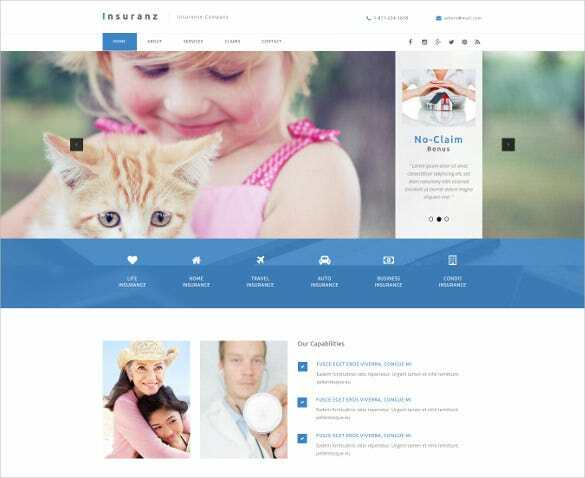 The theme is designed in a highly responsive layout. 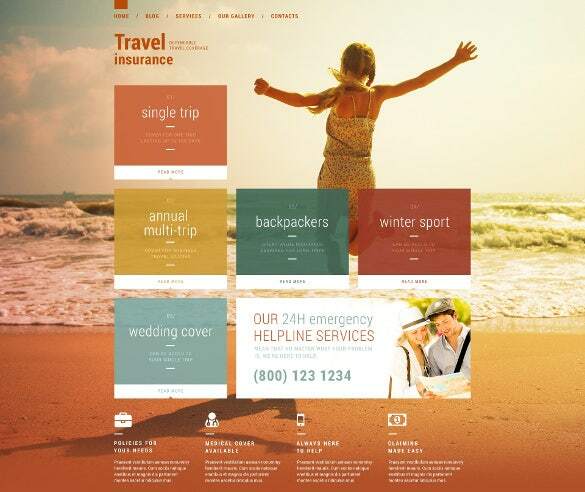 The animation effects provide dynamicity to the templates which are compatible with popular browsers. 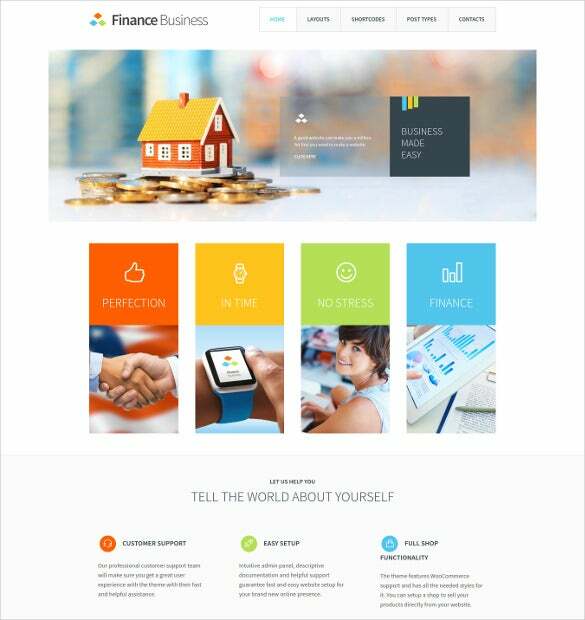 HTML, CSS and JS files are included in the themes and the templates are extensively documented.